Center for Oncology in Pediatrics (COP) in Mexico is CureMatch’s Latest International Partnership. 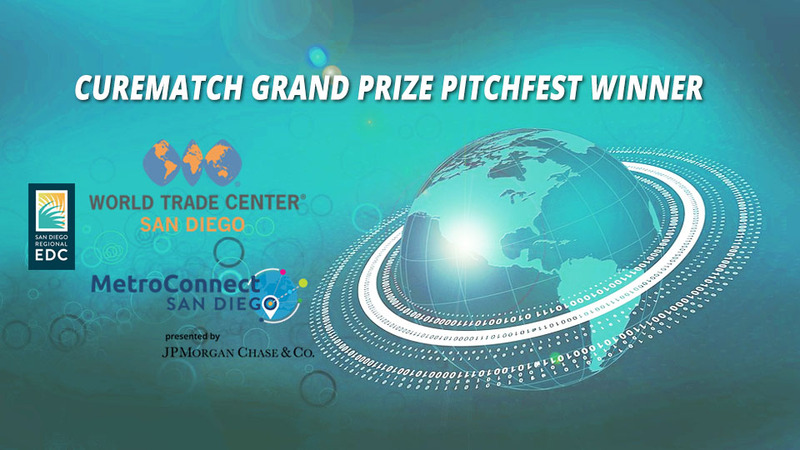 SAN DIEGO, CA – June 14, 2018: CureMatch, Inc. was awarded the MetroConnect grand prize, funded by JPMorgan Chase and managed by World Trade Center San Diego, an affiliate of the San Diego Regional EDC. The $35,000 grant will support foreign market expansion of CureMatch precision oncology technology to improve cancer treatment outcomes around the globe. MetroConnect via World Trade Center San Diego is the region’s premier export assistance program which annually selects and equips companies with resources to assist global trade strategies. Out of 50 applicants in 2017, just 15 San Diego companies were awarded an initial $10,000 MetroConnect grant, funded by JPMorgan Chase. A panel of judges consisting of business and community leaders reviewed the companies’ respective accomplishments and goals to select the top four finalists to present at the Grand Prize event, where CureMatch impressed more than 230 attendees to receive the $35,000. As part of its export strategy, CureMatch has recently partnered with the Center for Oncology in Pediatrics (COP) in Mexico to offer Personalized Combination Therapy® analyses FREE of charge to all children with cancer. Precision medicine is seen by many as the future of oncology in both developing and third world countries, but it has not yet been widely adapted to pediatric oncology in the USA and much less so in Mexico. 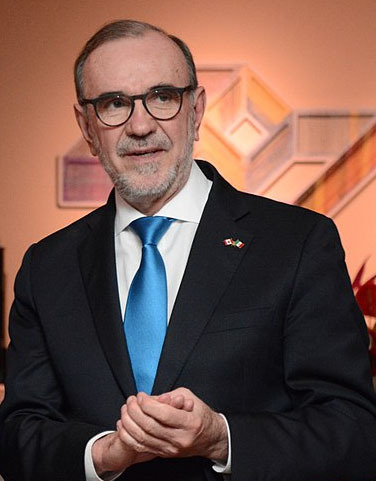 Further, access to next-generation sequencing and other tumor profiling techniques used in precision oncology is extremely limited within Mexico, for both adults and children. The goal of the collaboration between COP and CureMatch is to break through these barriers and enable all pediatric cancer patients in Mexico to have access to the best cancer treatment options available. Personalized Combination Therapy® based on next-generation genetic testing enables oncologists to make effective treatment decisions at a faster pace. CureMatch analyzes molecular tumor profiling data. The mutations that are specific to each individual patient’s cancer are identified, and a computational analysis is performed using proprietary algorithms and comprehensive custom-curated databases. CureMatch scores and ranks the top mono-therapies, two-drug combinations, and three-drug combinations to elevate the standard of cancer care and improve survival and clinical outcomes. (l-r) Pictured: Dr. Juan Duarte and Dr. Jesus Lozano from the Centro Oncologico Pediatrico de Baja California, Susan Leonard (CureMatch PR), Stephen Saunderson (COP President), Luis Pablos (CureMatch Research Scientist). World Trade Center San Diego operates as an affiliate of San Diego Regional Economic Development Corporation. WTC San Diego works to further San Diego’s global competitiveness by building an export pipeline, attracting and retaining foreign investment and increasing San Diego’s global profile abroad. The Centro Oncológico Pediátrico de B.C. (Oncologic Pediatric Center of Baja California) in Tijuana, Mexico is a non-profit hospital in Tijuana created in memory of two young men and childhood friends, Juan Carlos Castro-Munguia and Irineo Limón-Vargas. Both Juan and Irineo eventually lost their lives to cancer. After their diagnoses in 2002, they decided to face their illness together in a joint effort by dedicating the rest of their lives to supporting noble causes. Their primary mission was to offer moral, spiritual and economic support to children of lesser means suffering from cancer. They created a foundation in Tijuana, Mexico calling it Fundación Castro-Limón. In 2006, their dreams were realized with the completion of Centro Oncológico Pediátrico de B.C.. The hospital provides treatment, surgery, medication, care and support to poor children from both the United States and Mexico. COP offers a beacon of light and hope of life to pediatric cancer patients who unfortunately do not have access to medical care.